As I mentioned in my fashion purchases post, I have also recently picked up a few new hair and beauty products that I would share with you. 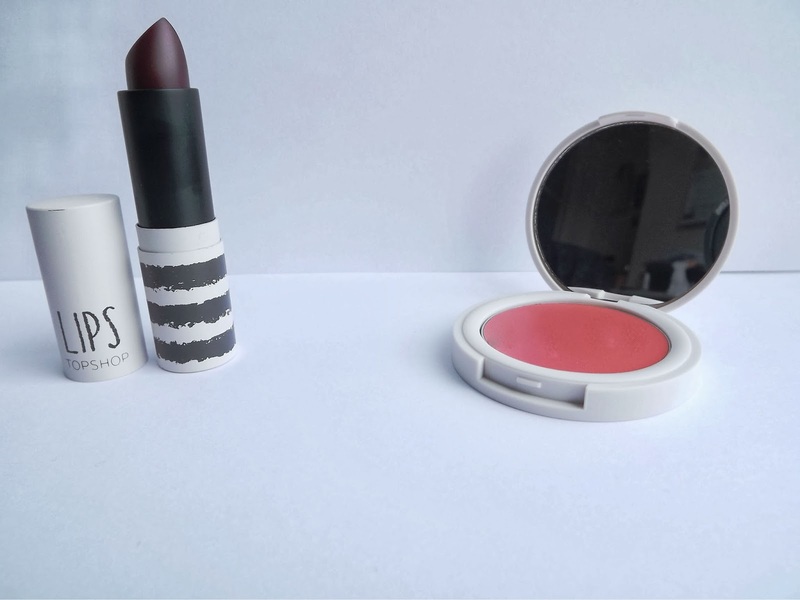 Topshop Lipstick in Beguiled and Blusher in Head Over Heels - I got a total bargain with these when in Topshop the other day as they came in a Christmas gift set which was £12 but had a whopping 30% off meaning it was only £8.40. That is so cheap to say that the lipstick is supposed to be £8 and the blusher is supposed to be £7 if you bought them separately so it is worth buying it even if you just want the lipstick. I love the shade of the lipstick, it's such a deep plum and is just so perfect. I don't tend to use blusher very often so I cannot wait to use this one. 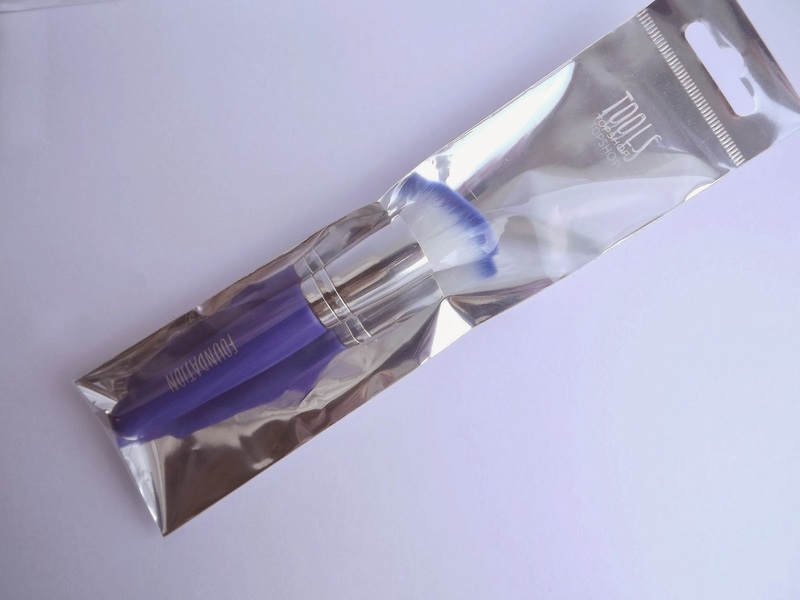 Topshop Foundation Brush - When I was out shopping I was umming and ahing over whether to buy the real techniques stippling brush but I couldn't justify spending £11 on one make up brush. I found this one in Topshop which is undoubtedly much prettier and £8. I know you're thinking 'is she really bothered about £3' but I had a £10 gift voucher so overall the lipstick, blusher and the brush, with the £10 voucher knocked off and student discount, cost me about a fiver. Bargain if you ask me. I have only used the brush a couple of time so far but I adore it. 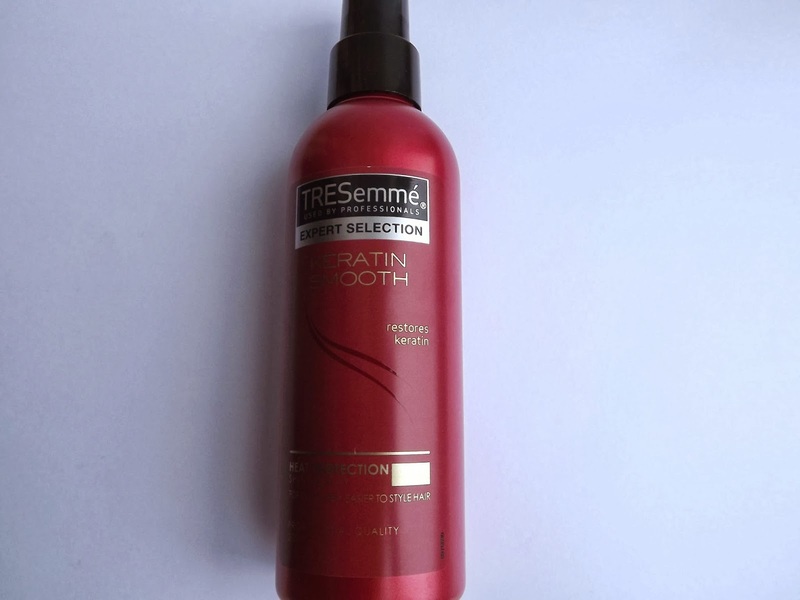 Tresemmé Keratin Smooth Heat Protection Spray - With all the straightening and curling and god knows what else I tend to do with my hair, I have needed to buy something to protect my hair from the heat. Since I was impressed with the Keratin Smooth Shampoo, Conditioner and hair mask, it seemed just about right to try this out. So far it has made my hair really soft, so soft that I don't need the leave in conditioner that I have raved about so much. Have you bought any new beauty products recently? 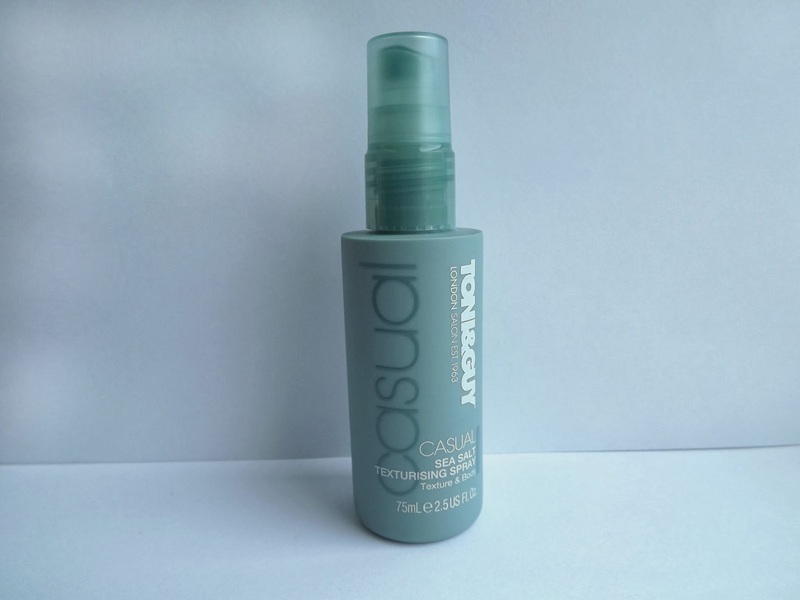 Sea salt spray is amazing, I love it! Have the same lipstick and I absolutely love it !